On 22nd January, 2019, a medal parade ceremony was held at the United Nations Mission in South Sudan(UNMISS) to award UN medals to the seventh batch of Chinese peacekeeping police contingent. H.E. 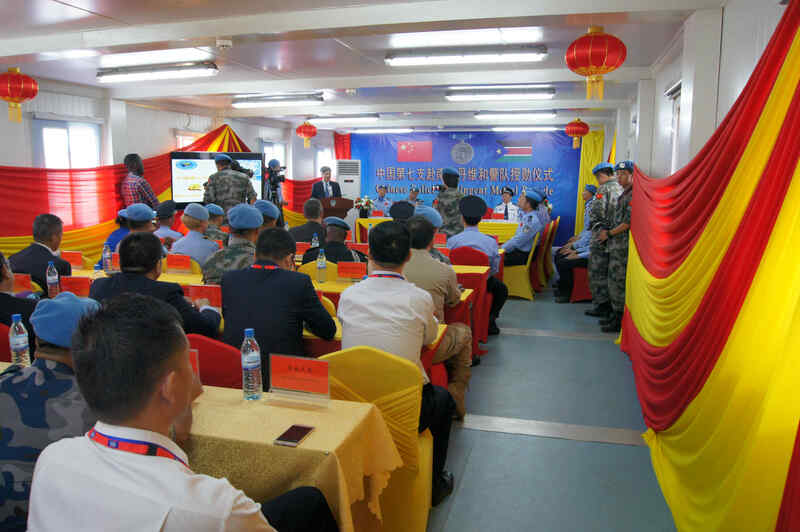 He Xiangdong, Chinese Ambassador to South Sudan, Mrs. Unaisi Bolatolu-Vuniwaqa, Police Commissioner of UNMISS and Mr. Zhao Huaiyin, Deputy Director General of Anhui Provincial Department of Public Security were present at the ceremony. Ambassador He extended his warm congratulations to the Chinese police officers who were awarded the great honor. 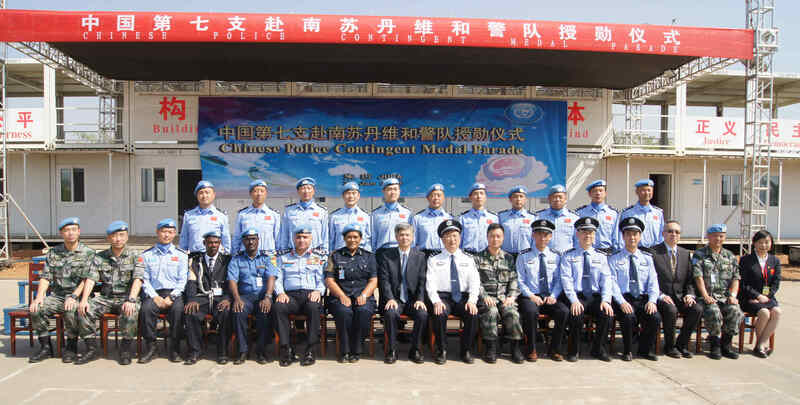 He said that since their deployment, all Chinese police officers have always born in mind the trust of home country and the glorious peacekeeping mission, tackled difficulties and hardships and accomplished various tasks assigned by UNMISS with their professional skills. They have brought into full play the core values of the United Nations and the spirit of the Chinese peacekeeping police. Ambassador He hoped that Chinese police could cherish the honor, continue to work hard and make greater achievements in peacekeeping operations. Ambassador He stressed that China is firmly committed to safeguarding world peace and security, and is ready to make further contribution to UN peacekeeping missions. Mrs. Unaisi Bolatolu-Vuniwaqa commended the exceptional qualities and strong sense of devotion of the Chinese police officers, who have completed various tasks with high standard. She said that the honor of being awarded with UN medals is an important recognition of their excellent work. China has fully demonstrated its image as a responsible power by actively participating in UN peacekeeping operations and UNMISS welcome more Chinese peacekeeping police officers here in South Sudan to make greater contributions to the peace and stability of South Sudan.